Going on a golf holiday is great. That time of the year when you can put down the pen, turn on your out of office and prepare for some time away on the fairways. Here at Your Golf Travel, we love hearing about your trips around the world, whether it’s short break to Celtic Manor, a weekend in the Costa del Sol or a trip to Barbados lapping up the sunshine. And while we are fully focused on bringing you the lowest possible prices, we know a golf holiday doesn’t come cheap, but what can be done? 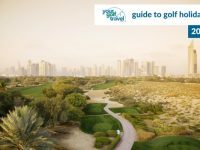 Collectively, we’ve called on our golf travel experts to bring you the 10 best tips for you to save on your next golf holiday! Most golf courses experience a peak of play between 9 and 11 in the morning. 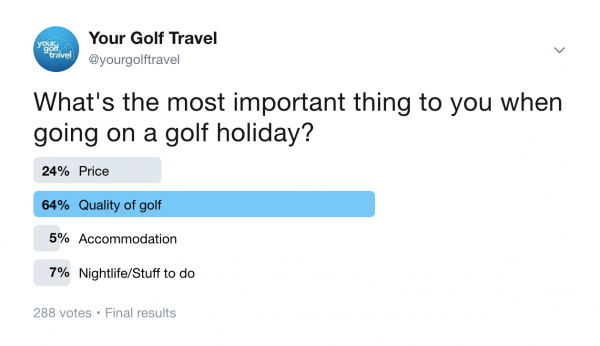 Well all the golf travellers want to enjoy their golf in the morning, leaving the rest of the day to explore, drink or chill…. and who can blame them? But if you’re willing to break the mould, it could really pay off…quite literally. 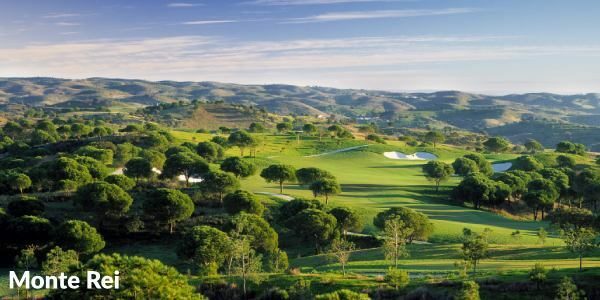 For example, Monte Rei, one of the best golf courses in The Algarve, offers a discount of around £60 on taking a twilight round rather than one during the peak times. Now, I know I’m not alone in thinking that when most of us look for summer holidays, we have our eye on one thing in particular. And for good reason. While we have a whole host of championship golf courses on our doorstep here in the UK, we’re definitely not blessed with great weather. So when booking a golf holiday, consider booking out of the ‘peak summer seasons’ of June, July & August; it’ll bring your cost down…. Want some proof? Islantilla Golf Resort for 5 nights, playing 3 rounds of golf will cost you £190 more if you travel on 31st August rather than a day later on the 1st September. While the majority of these tips are most effective for golfers travelling abroad, we still have some for those who enjoy UK golf breaks. This one is simple – if you take your trip on a Sunday night, instead of a Saturday night, not only will you experience a quieter golf course and hotel but you can also save up to £100. 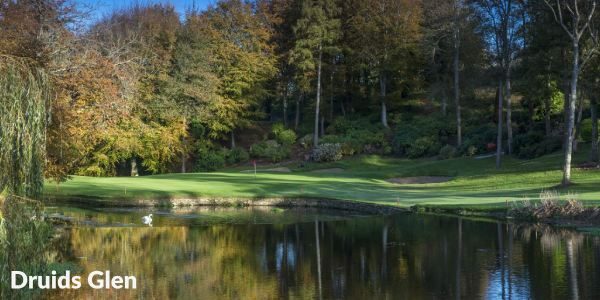 If you wanted to travel to Druids Glen in May, staying on a Saturday for a 1 Night, 2 Rounds package is £259. However, if you stayed for the same package the next day, the price would drop to £179. Going away for a long weekend is an extremely popular type of holiday, especially for city breaks. 3 nights, 4 days in an area allows you to see and do most of what you want without recycling activities or restaurants. Thursday to Sunday is most common, with travellers wanting to experience the best nightlife on offer, most often on a Friday and Saturday night. The same applies to a golf holiday; if you’re visiting the Algarve and want to experience the hustle and bustle of the Albufeira strip, the weekend is probably the best time to go. But if you’re not fussed, then still go on a long weekend, but switch it up. 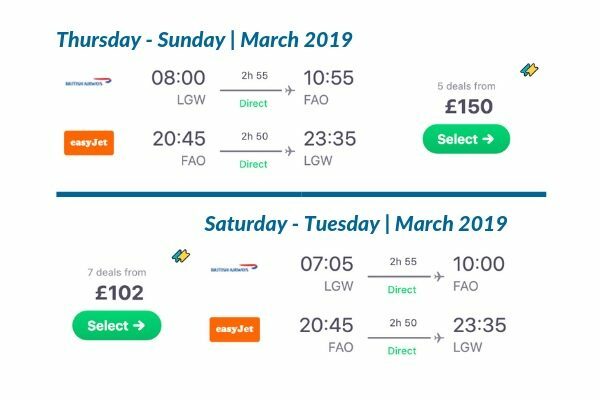 These screenshots from SkyScanner show just how you can save up to £48 just from changing your dates from Thursday to Sunday to travelling from Saturday to Tuesday! 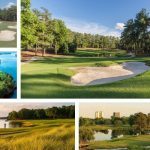 When you go to a region, or even some resorts, you’ll have several amazing courses available for you to go and play. And while this will be extremely tempting, choosing to stick with one of the courses will be cheaper than testing your game on the different tracks. Granted, this might not be as exciting, but there are some benefits of playing the same course twice, other than the price. 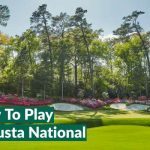 Take Penina as an example – three courses on offer but the main attraction is the Championship layout, and for many, turning up on the first day and playing that course could be quite a shock – especially that tricky 7th hole. So returning the next day, with an idea of what you’re facing might be met with a sigh of relief, allowing you can right the wrongs of your first day! Even though getting a group of mates to commit to a golf holiday can be a hassle, it’s almost certainly worth the persistence. Travelling in a larger group not only allows for the extra on-course competition and off-course banter, but will also help everyone to save money. 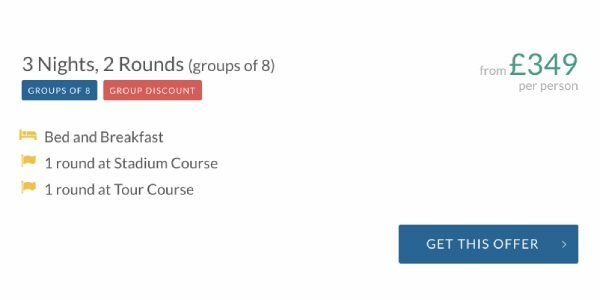 If you’ve browsed some of our great deals before, you will have seen the phrase “groups of 8” or “1 in 8” or “1 in 12” used frequently across venue pages. 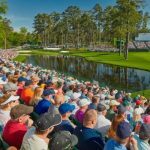 If the resort, hotel or course of choice displays either of them phrases, and you can get between 8 to 12 people to join your golf group, then one of you travels free! Then all that’s left to do is split the saving between the group and you’ve all saved some cash. Being organised comes in very handy when booking a holiday; it allows time for any schedule changes, gives you the best chance to secure the accommodation you want and takes away a lot of the stress early on. You want to go to Turkey in June for a golf holiday and wondering when to book; if you were to book now then fares can be as low as £250 and that’s including golf club carriage. However, if you were to leave it till February then the prices could rise by a huge £100 to £150 per person! Let’s be honest, while the golf is the most important part of your trip, it’s almost always about finding the whole package so you can enjoy the things away from the fairways. Choosing an all-inclusive package is as convenient as it is cost-efficient; you won’t need to go searching for a breakfast spot or worry if the bar you researched will have more than five people in it, as everything is on-site. And everything is paid for already, which is why the all-inclusive deals will be more expensive, but they will cut your spending costs down massively. 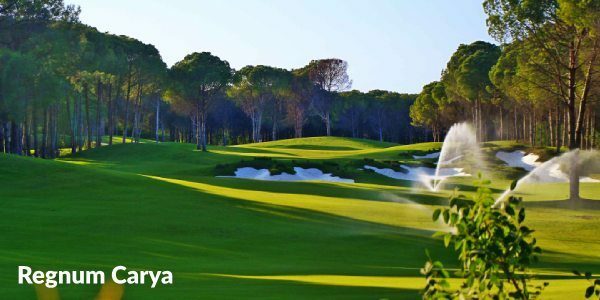 Turkish resorts are the champions when it comes to all-inclusive deals, which is largely down to their incredible hospitality and jaw-dropping hotels…not to forget the world class golf courses. I’m sure if money was no object, everybody would choose to take their clubs with them, and rightly so. You use these clubs week in, week out and naturally know what you can and can’t do with them, helping you on the course. But it’s not always that easy…EasyJet can charge you between £72 and £92 to take your clubs with you, while Ryanair is between £60 and £70. Luckily for you, we have a neat little partnership with British Airways, which allows you to get FREE golf club carriage when booking long haul flights. So this one is partly down to common sense and partly down to doing some research. For example, it’s obvious that a long weekend (See tip #4) in the Algarve will be cheaper than a week-long stay at Pebble Beach. But sometime’s research takes time; time we would rather spend down the range or on the course. 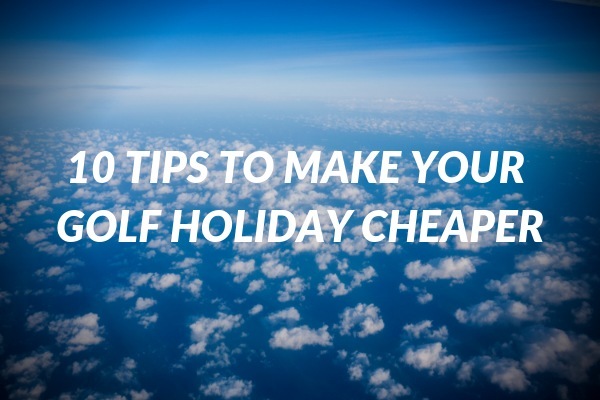 So there you have it, 10 tips to make your golf holiday cheaper. If you have any more tips to share, comment below or tweet us at @yourgolftravel! Great tips to save some money on golf trips!! I take my own golf clubs as my normal hold luggage. That’s 23kg allowance with Easyjet plus unlimited weight for their cabin bag. Plenty enough weight allowance without the need to pay for an additional golf bag too.